Thomas R. Schreiner. Commentary on Hebrews (Biblical Theology for Christian Proclamation). Nashville, TN: B&H Academic, 2015. 560 pp. $39.99. In the mist of a tremendous flourishing of evangelical publishing on biblical theology, for years I had longed to see a biblical theology study Bible and a commentary series from the perspective on Biblical theology. To my joy, in the last year we have seen both. The latter presented itself in the form of the NIV Zondervan Study Bible (D. A. Carson ed. ), and the former saw its inaugural volume on Hebrews by Dr. Thomas Schreiner (Biblical Theology for Christian Proclamation series from B&H Academic). the theology of the Bible, that is, the theology expressed by the various biblical books on their own terms and in their own historical contexts. Biblical theology is the attempt to understand and embrace the interpretive perspective of the biblical authors. What is more, biblical theology is the theology of the entire Bible, and exercise in whole-Bible theology (ix, emphases original). 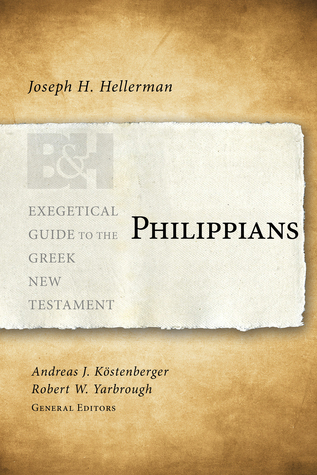 While the volumes will discuss typical introductory matters and provide verse-by-verse exegetical commentary, their two primary distinctive contributions are conveyed in the series title. First is biblical theology – each volume will explore the contribution of the given book or groups of books of the Bible to the theology of Scripture as a whole and provide “thorough discussion of the most important themes of the biblical book in relation to the canon as a whole…in the context of the larger salvation-historical metanarrative of Scripture” (xi). Second is Christian proclamation, seeking to relate biblical theology to our own lives and the life of the church, to equip the saints for the work of the ministry of teaching and preaching the Word. The biblical-theological emphasis of Schreiner’s volume on Hebrews shows up mainly in the introduction and conclusion. After briefly addressing typical introductory matters such as date, authorship, destination, etc. in an accessible way that does not get bogged down in technical details, Schreiner spends more than half of the introduction on biblical-theological matters. First, he situates Hebrews in its canonical context, tracing redemptive history from Genesis through the Gospels and pointing out along the way the significant types of Christ and salvation and how Hebrews speaks of their fulfillment. For example, after mentioning Leviticus 10 Schreiner notes how Hebrews focuses on the inadequacy of the sacrificial system and emphasizes the inauguration of a new and better covenant because the old was a failure. He ties the sin of the wilderness generation in Numbers to the warning Hebrews makes of the example of Israel. He notes how Hebrews picks up on the theme of rest in Joshua as a type and anticipation of a greater rest to come. From the Gospels, Schreiner notes themes such as Jesus being the new David promised by the prophets. Second, Schreiner discusses four structures that undergird the biblical theology of Hebrews. The first is promise/fulfillment, where Schreiner points to how Hebrews proclaims certain OT predictions to have now been fulfilled. Jesus is the Davidic king promised in the OT who would establish God’s kingdom; He is a priest in the order of Melchizedek (Ps 110:4) in his humanity, participation in summering, and resurrection; He has sat down at the right hand of God (Ps 110:1). The second structure is the tension of inaugurated eschatology, seen in Jesus’s reign, salvation, sanctification, perfection, the warning passages, the call to faith, and rest. Third, concerning typology, Schreiner helpfully emphasizes that the correspondences were intended by God and not merely used by Him as illustrations, and that typology is characterized by escalation. In Christ we have a better prophet, a better priest, a better king, a better covenant, a better land, and better promises. The final structure noted by Schreiner is spatial orientation (i.e. the relationship between heaven and earth); while some scholars treat this topic within typology, Schreiner separates it because of Hebrews’s distinctive emphasis on the subject. Whereas key themes that give structure to the letter are investigated as structures of thought, the conclusion provides additional biblical-theological insight by dealing with some of the central themes (e.g. God, Jesus, the New Covenant, etc.) in their own right. I look forward to digging into Schreiner’s commentary on Hebrews and eagerly anticipate each forthcoming volume in this series. These commentaries will provide rich biblical-theological and practical insight that can’t be found in other commentaries, from some of the best evangelical scholars of our day. Find out more about the series, including the list of volumes and contributors, here. Andrew David Naselli and Mark A. Snoeberger, ed. 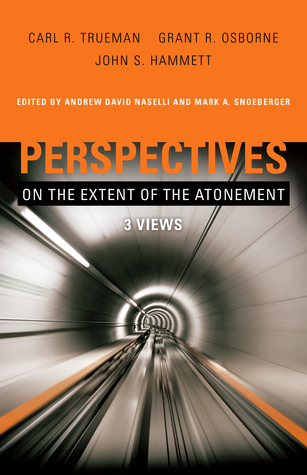 Perspectives on the Extent of the Atonement: 3 Views. Nashville, TN: B&H Academic, 2015. 256 pp. $24.99. I don’t usually gravitate toward multiview books, but what solidified Perspectives on the Extent of the Atonement in my mind as a book I needed to read was a comment made in passing by my friend Lindsay Kennedy about how he always likes to engage with the best arguments of opposing positions. I have been a convinced 5-point Calvinist for a long time, and I’ve read many of the significant tomes defending Reformed soteriology (e.g From Heaven He Came and Sought Her, Salvation by Grace, etc. ); but I couldn’t remember ever reading a good academic defense of Arminian soteriology. Because this issue is one of the most controversial intra-Evangelical theological debates and one in which both sides are prone to caricature the other, at the very least Perspectives on the Extent of the Atonement helps us see that each of the three views espoused in this book is exegetically and theologically tenable and that this is an in-house, family debate amongst genuine believers who all affirm the essential tenet of penal substitutionary atonement. Daniel L. Akin, ed. A Theology for the Church, Revised Edition. Nashville, TN: B&H Academic, 2014. 770 pp. $54.99. Every time I say I’m not going to read another introductory systematic theology I read another one; and I have never regretted it. Last year it was Michael Bird’s Evangelical Theology, this year it was A Theology for the Church edited by Daniel Akin. There are several distinguishing features of A Theology for the Church. One is the length – at 728 pages not including backmatter, this volume is considerably shorter than typical one-volume systematic theologies (which are over 1,000 pages), making this volume more accessible – less daunting and easier to get through for those not accustomed to reading such tomes. Another is that every chapter is written by a different person and the whole book is from a Baptist perspective (though competing views are always presented fairly). Thirdly, this volume was written by churchmen for the Church. Systematic theology is often perceived as dry, academic, and irrelevant by those without an affinity for the discipline. But many systematic theologies by evangelicals who love the Church and see doctrine as fuel for doxology and orthopraxy do convey that in their tomes (e.g. Grudem ends each of his chapters with a memory verse and a hymn). However, in this volume implications on the Christian life and mission are much more explicit than is typical, and recur much more frequently. In the midst of teaching on the various doctrines, authors frequently exhort the reader to know and love God more and to participate in His mission. This unique emphasis can be explicitly seen in the fact that every chapter ends with a section entitled “How Does This Doctrine Impact the Church Today? Perhaps the most significant distinguishing feature/strength of A Theology for the Church is that it’s not actually a systematic theology as I had expected: it’s an integrative theology. “The present volume is born out of the conviction that a theology for the church should integrate the historical, biblical, philosophical, systematic, and practical aspects of theology as it seeks to achieve a unified, coherent, contextual, and compelling account of the Christian message” (46). Integrative theologies are much rarer than volumes that treat a specific discipline, and typically one must read a different book on each discipline (e.g. many read Grudem’s Systematic Theology at over 1000 pages and Allison’s Historical Theology at over 700 pages, and that leaves several other facets unexplored). To have a one-volume integrative theology at just over 700 pages that is so accessibly written and geared toward the Church is truly a blessing. Charles L. Quarles. Illustrated Life of Paul. Nashville, TN: B&H Academic, 2014. 300 pp. $29.99. Whenever I’m asked the question of who I’d want to talk to first in Heaven besides God, I answer with “Paul.” For me there’s no biblical character more stimulating both intellectually and practically. I love studying Paul’s writings and theology academically. Yet his humility, Christ-orientation, missionary zeal, and courage and joy in the midst of unthinkable persecution and pain constantly drive me to prayer, imploring for these attributes to characterize my own heart and life in an ever-increasing measure. Paul’s staggering influence on the church is undeniable and is surpassed only by that of the Lord Jesus Himself. He penned thirteen out of the twenty-seven books of the New Testament (comprising approximately one-fourth of the total volume), and an additional sixteen chapters in the book of Acts focus on Paul’s life. Working ever to preach Christ where He was not known and refusing to build on another’s foundation, Paul evangelized much of the known western world during his lifetime. His God-inspired writings went on to influence giants in the history of the faith such as Augustine and Luther, whose effects on the Church are still felt today. In his latest book, Illustrated Life of Paul, Dr. Charles Quarles (perhaps best known for the New Testament introduction co-written with Andreas Kostenberger and L. Scott Kellum, The Cradle, the Cross, and the Crown) provides a survey of this amazing man and his incredible story, following “solid evidence in reconstructing Paul’s life without becoming the detached and disinterested historian that was the ideal of modernism” (ix). With over 150 color images including maps and photographs of artwork, artifacts, and modern-day sites, this book helps readers step inside the first century Greco-Roman world of Paul. As it guides us from Saul’s pre-conversion background to his Damascus Road conversion experience through each of his three major missionary journeys to his final years and ultimate martyrdom, this book does more than just narrate a chronology of the events of Paul’s life. Quarles also provides much insight into the cities that Paul visited, which is vital background for studying Paul’s epistles. He illuminates the background and themes and purposes of the letters as well. The doctrine of justification is an important hallmark of Paul’s message in books like Galatians and Romans. Already at this point in his ministry, teaching on justification was prominent. Justification meant that sinners who believed in Jesus were pronounced righteous by God on the basis of Jesus’s sacrificial death. Quarles goes on to explicate five essential elements of Paul’s doctrine of justification: 1) no one could be judged righteous by God by the “works of the law”; 2) God freely justifies sinners who believe in Jesus; 3) justification is made possible only through the sacrifice that Jesus offered on the cross; 4) the free gift of justification requires faith in the person and work of Jesus Christ; and 5) justification by faith had been the means of salvation in the Old Testament era (51-53). The last few pages of the book moved me deeply as Quarles reflects on Paul’s martyrdom, how the church’s loss was Paul’s gain (Phil. 1:21, 23), how his desire had been fulfilled at last, how his faith had finally become sight, how he had fought the good fight. Quarles reminds us that although those who study Paul’s life cannot help but be awed by him, Paul himself would be angered by such accolades because he lived ever to point to and boast in Christ. Many thanks to Chris and B&H Academic for providing a free copy in exchange for an unbiased review! Download the first two chapters for free from the B&H Academic blog. B&H accidentally sent me two copies of this book, which means that one of you could be the lucky (I mean predestined, what was I thinking) winner of the extra copy! Unfortunately my blog can’t host the fancy giveaway widgets, so you’ll have to work a bit harder. You can enter the following ways: 1) Comment with your favorite Pauline passage/epistle, and tell me why it’s your favorite; 2) Follow me on Twitter; 3) Tweet the giveaway; 4) subscribe to my blog; 5) share the giveaway on Facebook and/or any other form of social media. Each social media share can be a separate entry. If you’re already following on Twitter or the blog, comment saying so for entries. Here’s the key: for each entry method, leave a separate comment telling me you did it – this will increase your changes of winning. I’ll use a random number generator to select the winning comment. Open to residents of the US & Canada. Giveaway closes this Friday, June 27 at noon EST, at which time I will select and announce the winner. May Providence be ever in your favor! Andreas Kostenberger, Darrell Bock, and Josh Chatraw. Truth Matters: Confident Faith in a Confusing World. Nashville, TN: B&H Academic,2014. 208 pp. $12.99. Many, many years ago, just months after I became a Christian, I took a Christian Origins and New Testament course at my undergraduate institution, Case Western Reserve University. I was ecstatic that my secular university was offering a course related to my newfound faith; little did I know that what awaited me was going to attack everything I was just starting to believe in. As I reflected on this years later, I was profoundly grateful to the Lord for preserving my faith, for veterans in the faith had abandoned biblical Christianity as a result of this course. The Lord is truly amazing, for not only did He preserve my faith through that course, but He also used it to stir within me a great appetite and hunger for academic study of the Bible and theology. Anyway, one of the texts we used in that course was a book by Bart Ehrman – New Testament professor, New York Times bestselling author, and one of the most influential voices attacking the Christian faith and the veracity of its foundational truth claims. Just how influential is Bart Ehrman? Well, at the inaugural Cross Conference this past December I got to see just how staggering his influence among Christian college students is. I attended a “Deck” session on apologetics issues with the legendary Darrell Bock, who started the session with a little survey. The result: all of the students who had taken a course related to the New Testament or Christian origins at a secular university used a book by Ehrman in the course. Prior to that session it had been announced that the first 300 to arrive would receive a free advanced copy of a forthcoming book by Darrell Bock, Andreas Kostenberger, and Josh Chatraw called Truth Matters: Confident Faith in a Confusing World. Kostenberger is one of my favorite New Testament scholars and Darrell Bock ranks pretty high on my list as well, so I sprinted to that session and got myself the free book.